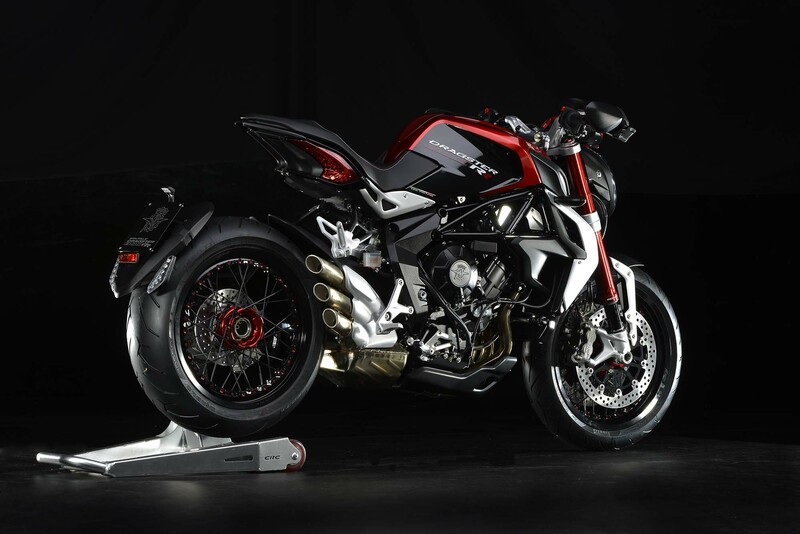 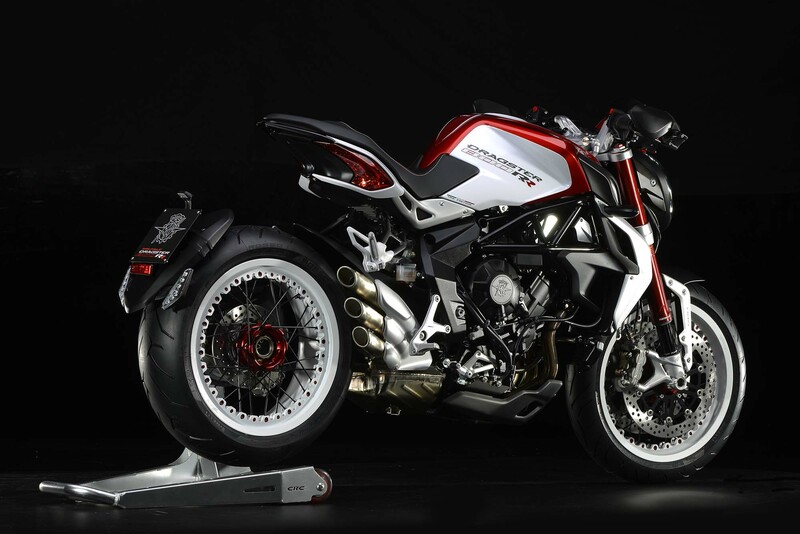 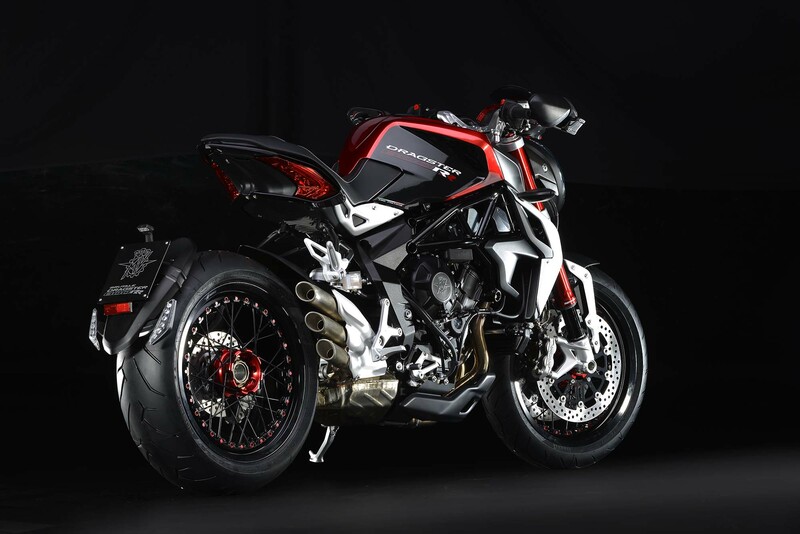 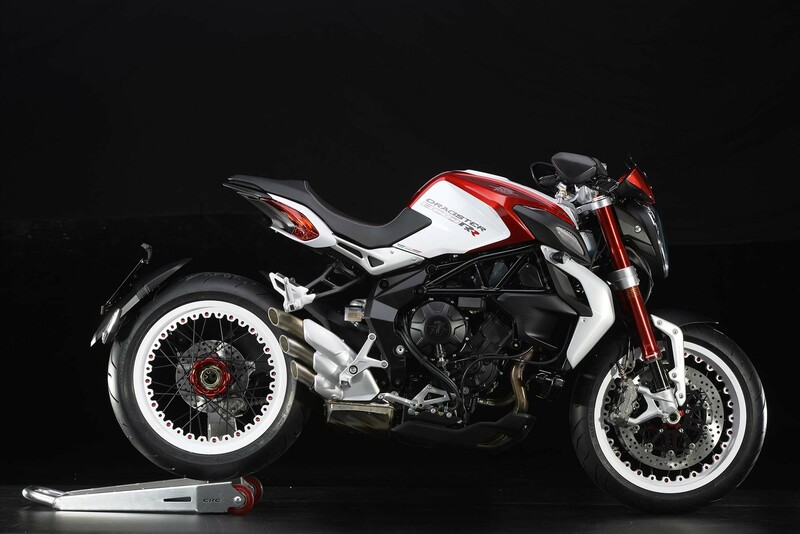 We already brought you the first high-resolution photos of the MV Agusta Brutale Dragster 800 RR (say that three times fast!) 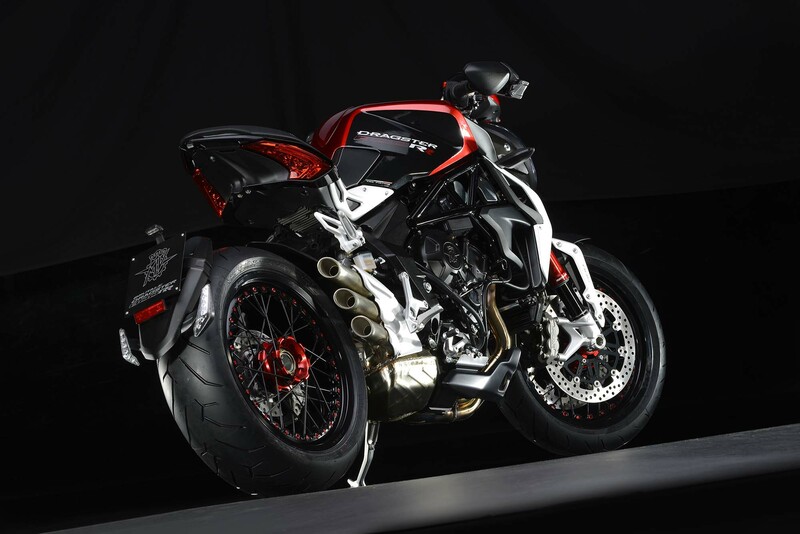 yesterday, which were sent to us by our Bothan Spies. 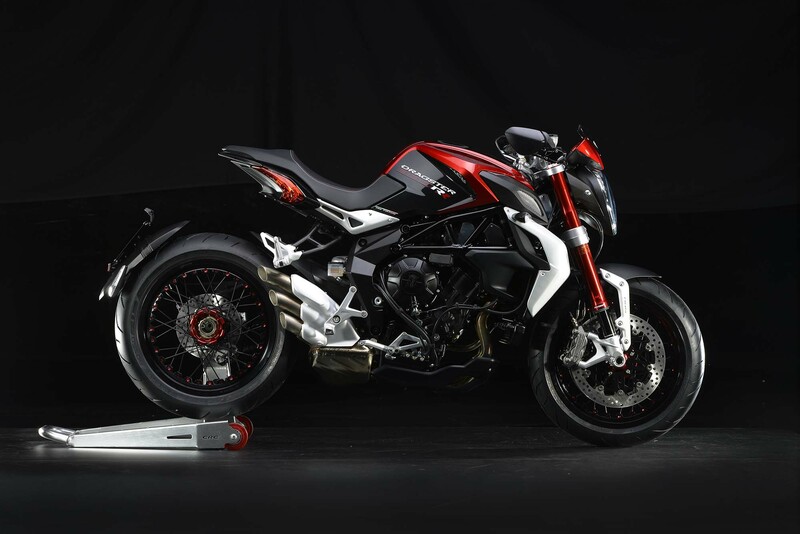 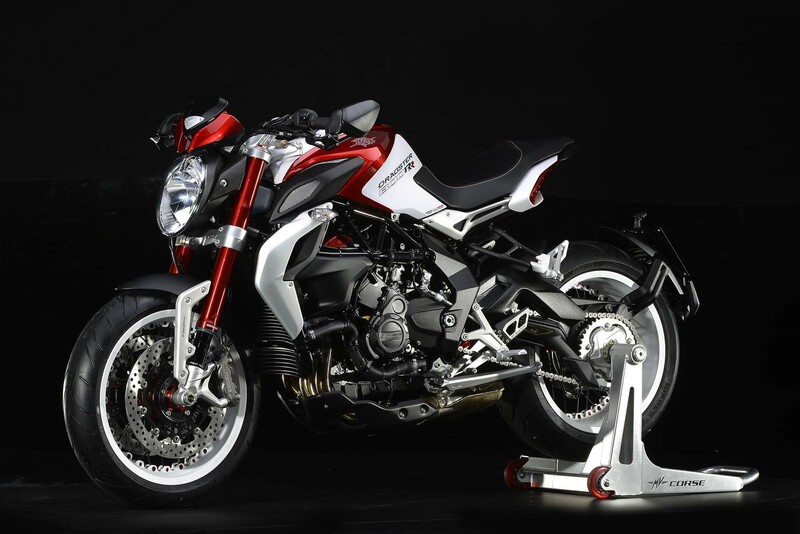 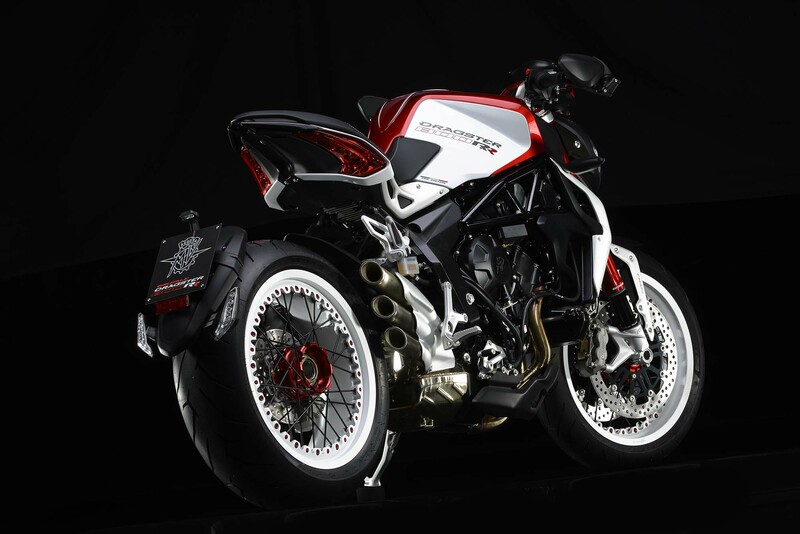 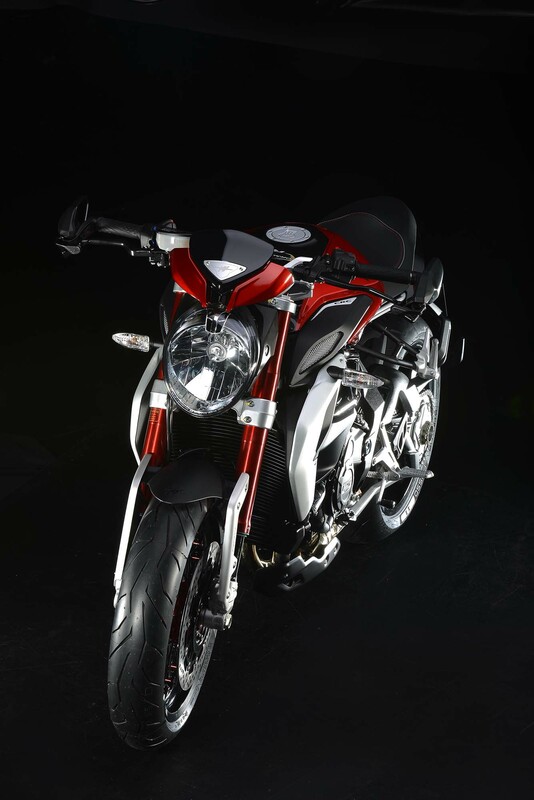 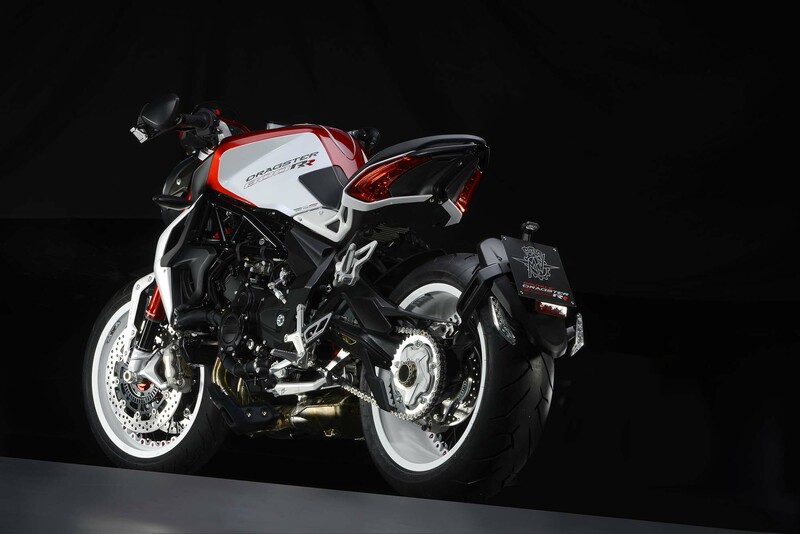 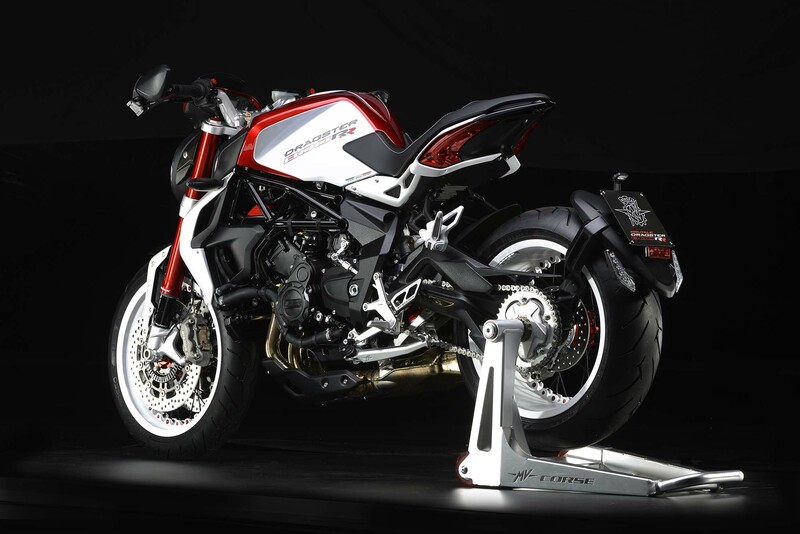 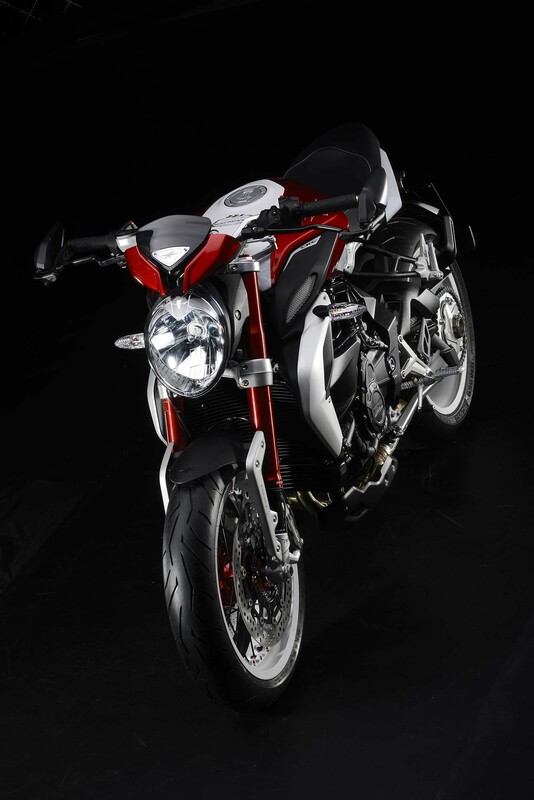 In response, MV Agusta has unveiled the Dragster RR and Brutale RR today, ahead of the EICMA show. 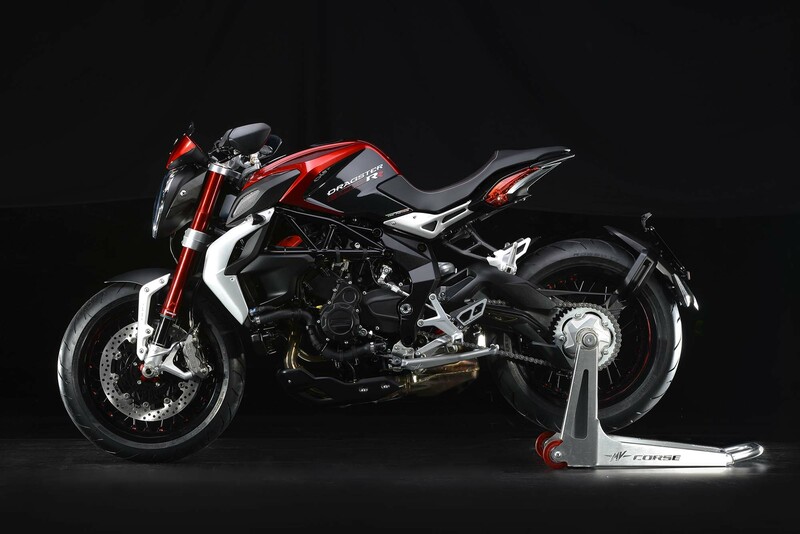 Like the updated Brutale 800 RR, the Brutale Dragster 800 RR features a revised 798cc three-cylinder engine, which makes 140hp at the 13,100 rpm, and a very peaky 63 lbs•ft of torque at 10,100 rpm. 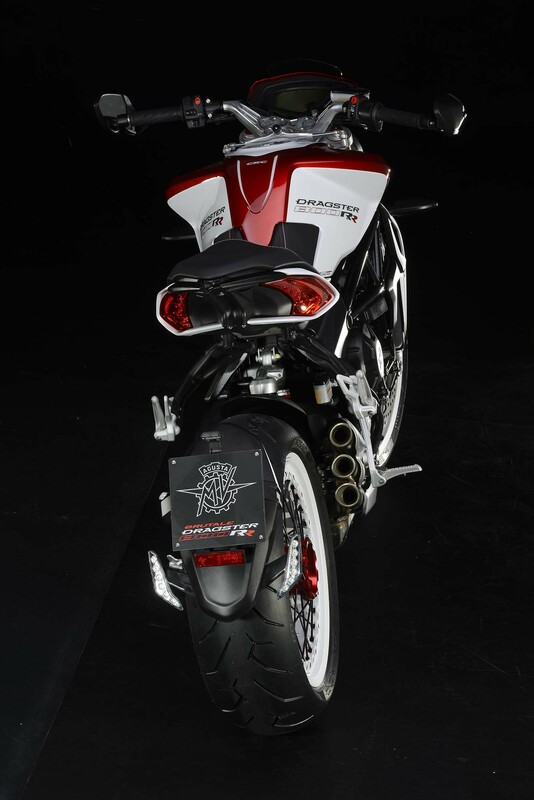 Numerous visual cues have been changed, included red-anodized fork tubes, red-painted cylinder heads, and aluminum tubeless wire-spoked wheels. 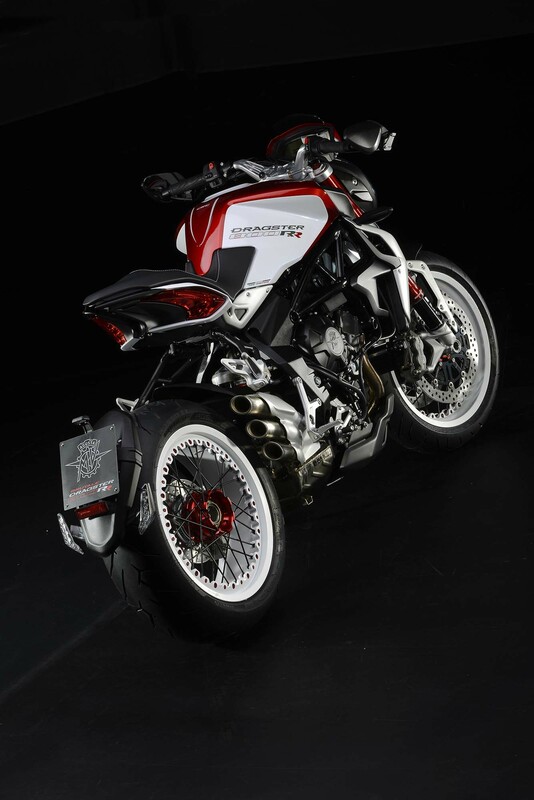 An eight-way adjustable steering damper continues the noticeable changes, to the 370 lbs machine (dry). 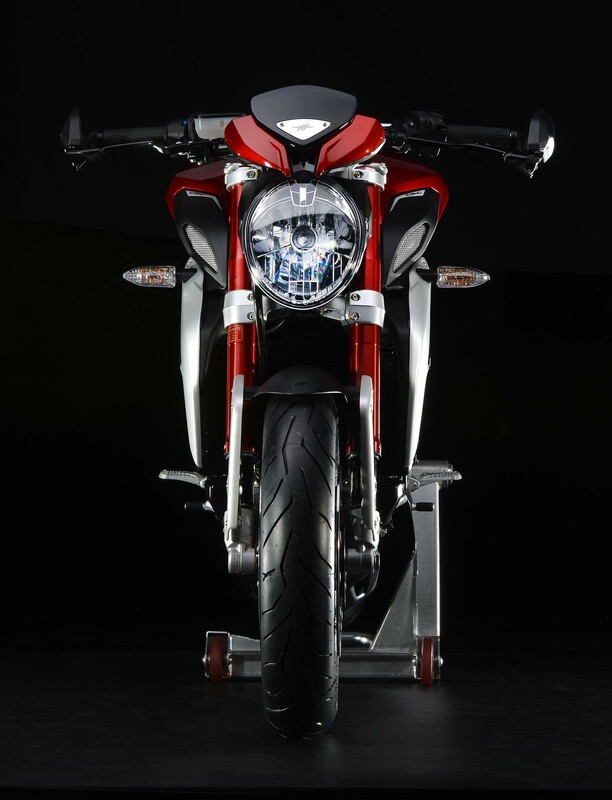 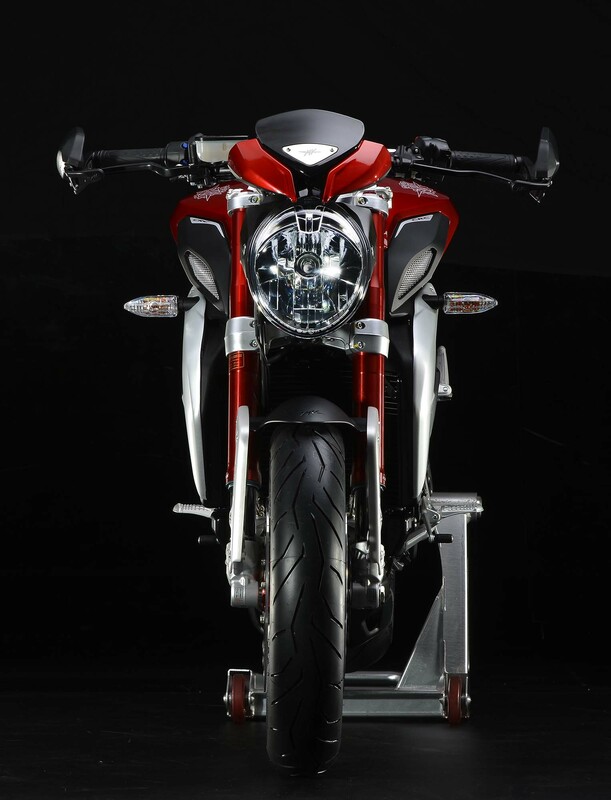 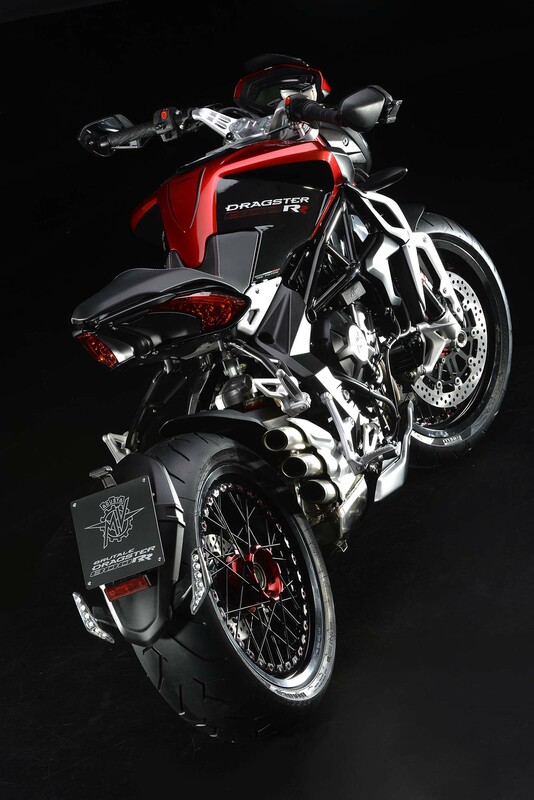 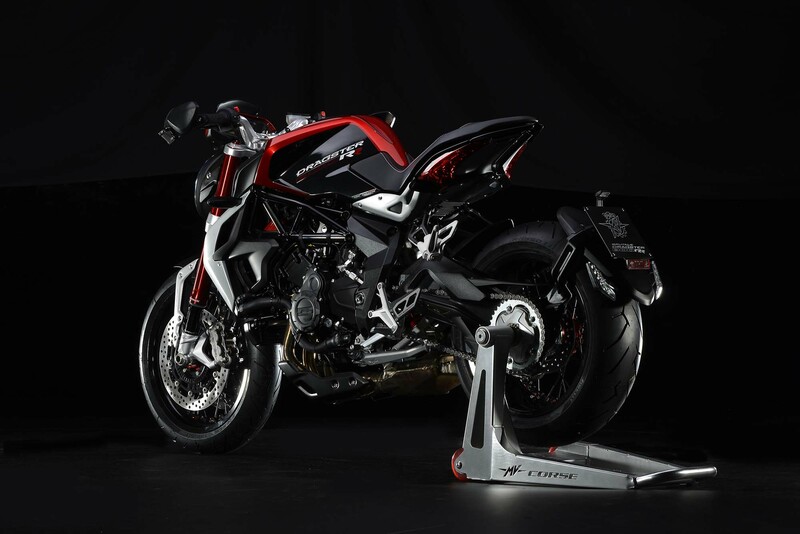 At the heart of the MV Agusta Brutale Dragster 800 RR is the new MVICS 2.0 electronics system, with EAS 2.0. 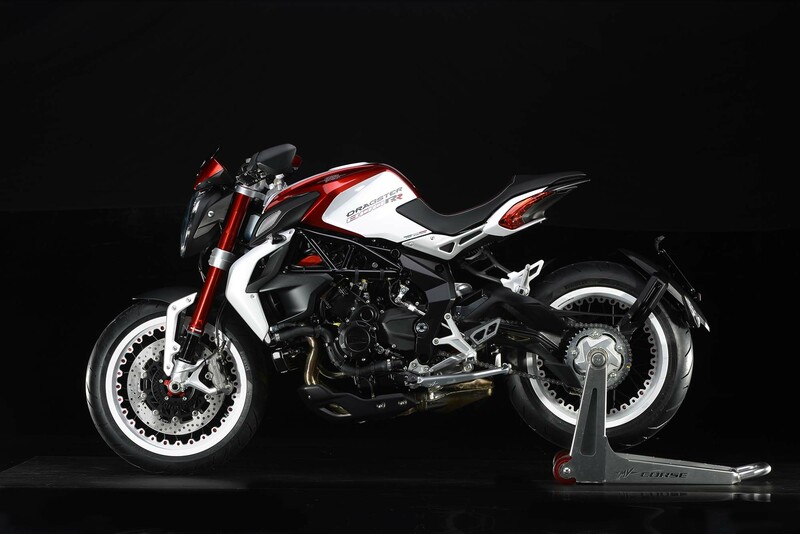 The main benefit of the new MVICS is its quickshifter, which does seamless shifting both up and down the gearbox. 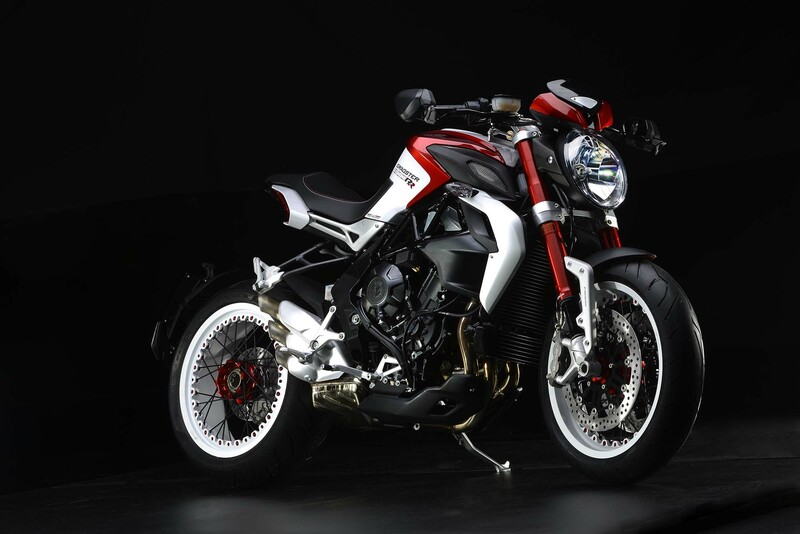 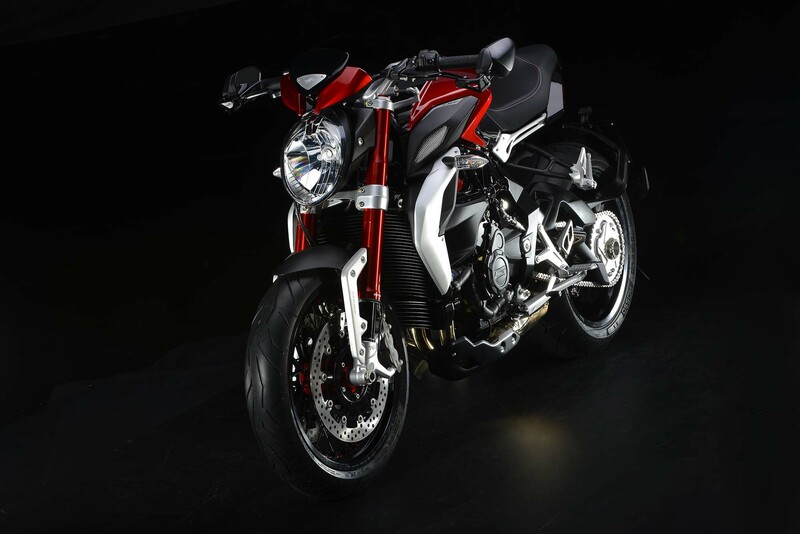 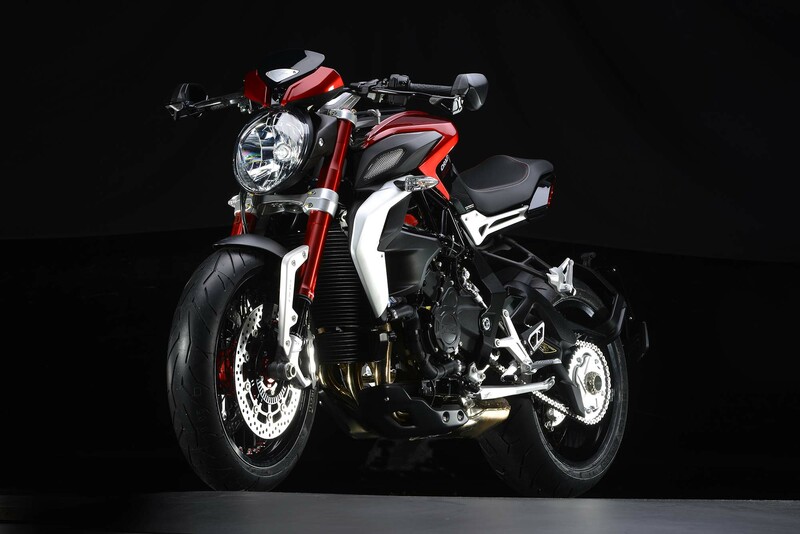 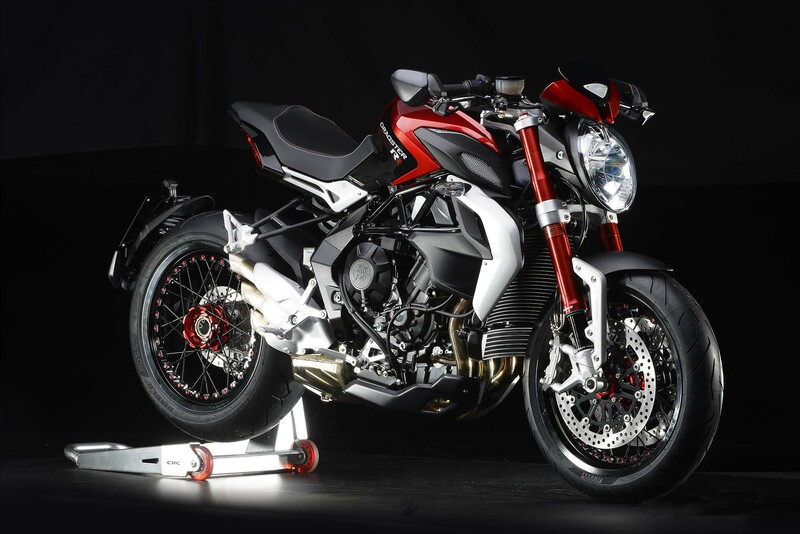 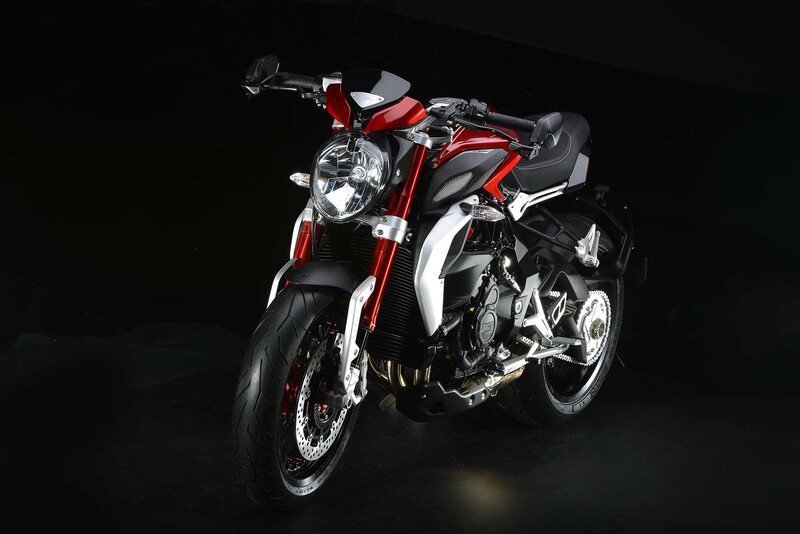 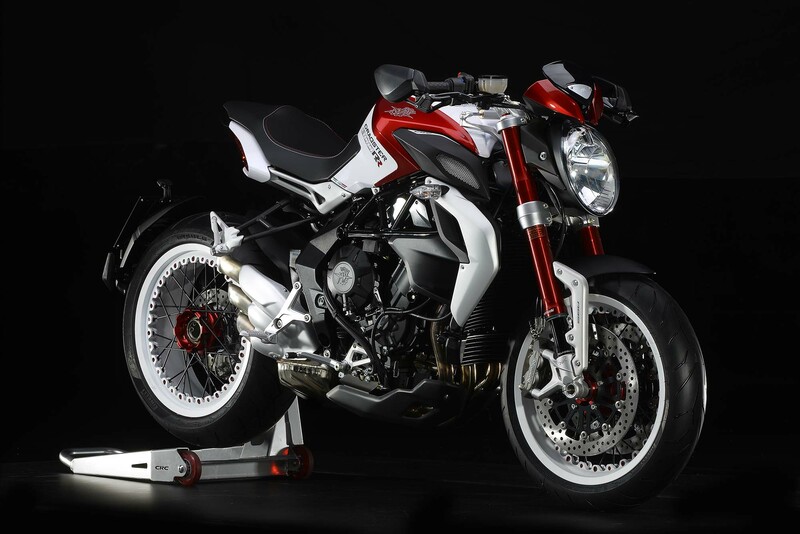 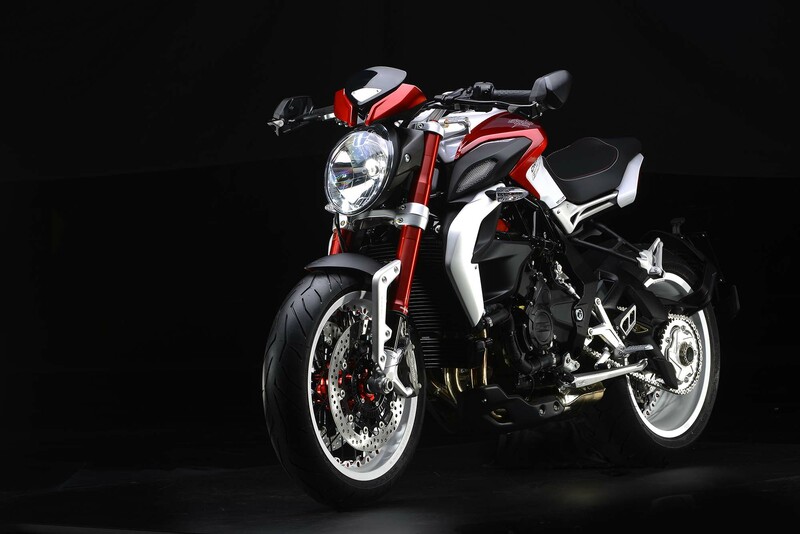 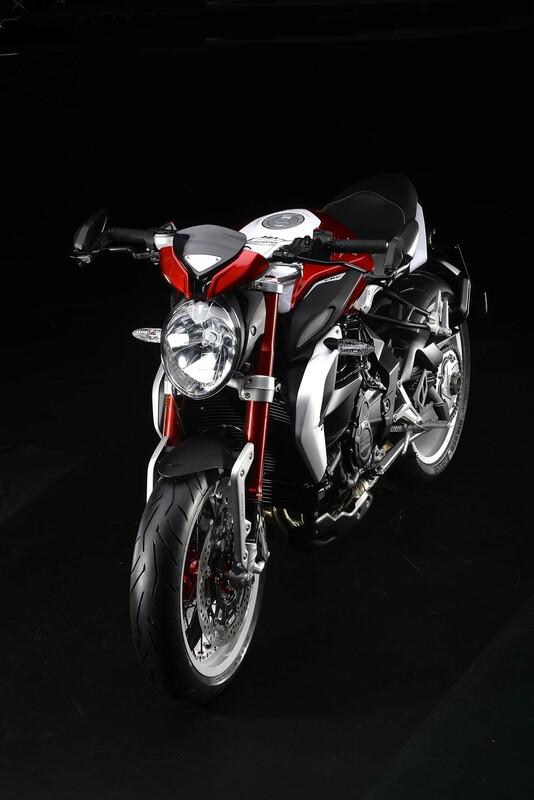 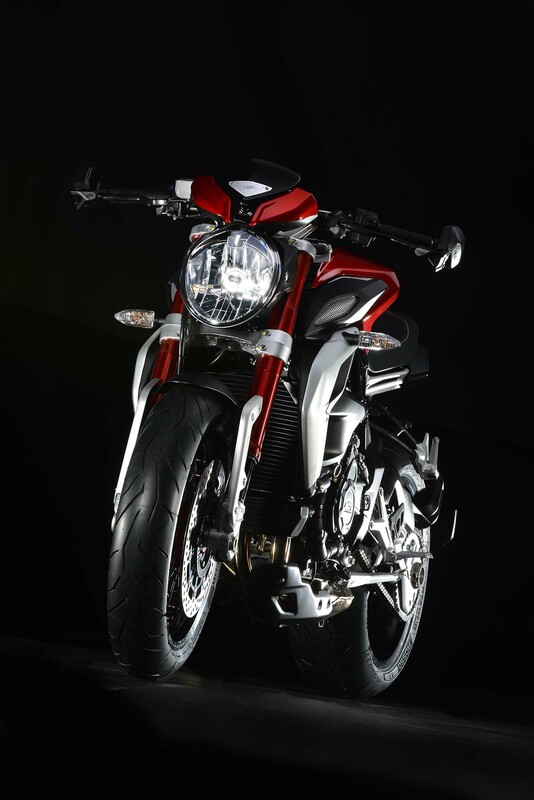 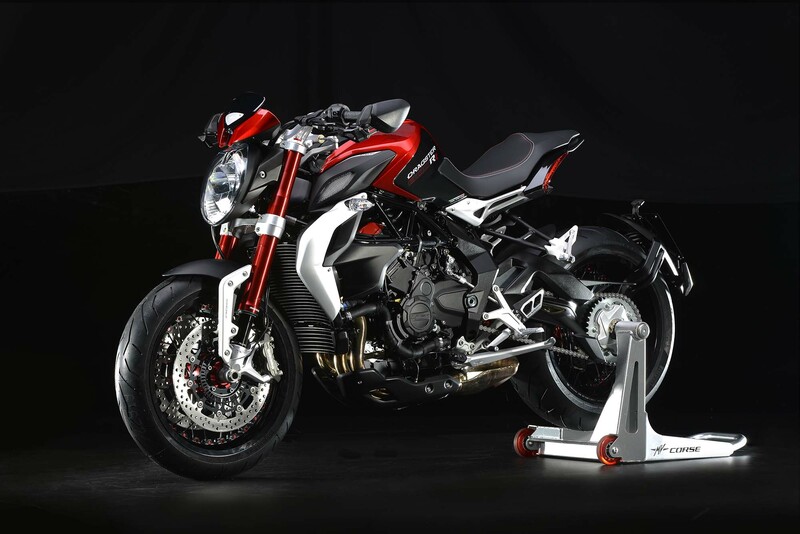 For all this, European customers will pay about €16,290 — a €2,800 price jump over the €13490 base model MV Agusta Brutale Dragster 800. 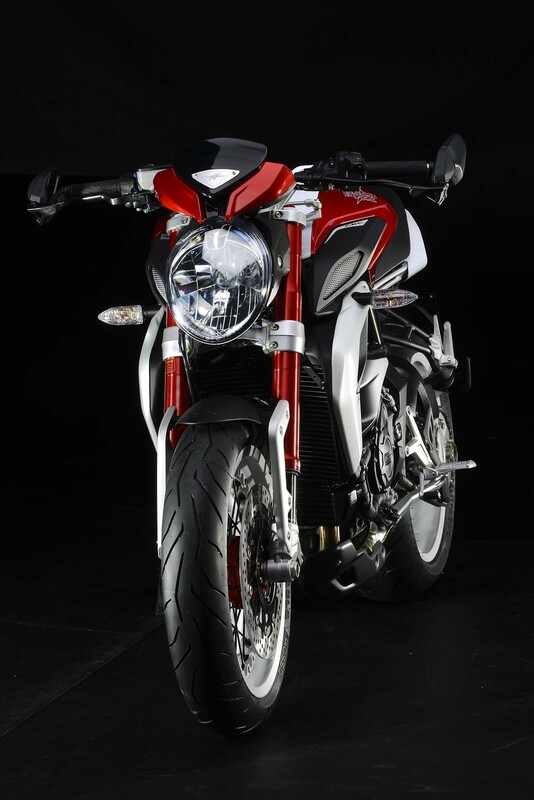 No word yet on American pricing, or when we’ll see the Dragster RR in dealerships.